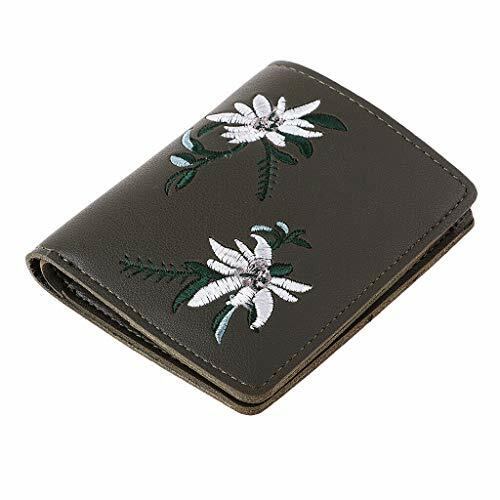 Fashion Floral Women Coin Purse Card Holder Wallet Handbag Pouch Money Bag (Color – Deep Green) | Accessorising - Brand Name / Designer Handbags For Carry & Wear... Share If You Care! Novel style with retro embroidery design, fashionable and lovely. It looks great with absolutely any outfit.